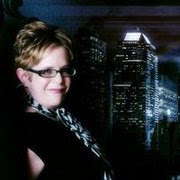 Janice Horton - author of romantic adventure novels: Mandy Baggot - A Rising Star on Tour! Mandy Baggot - A Rising Star on Tour! 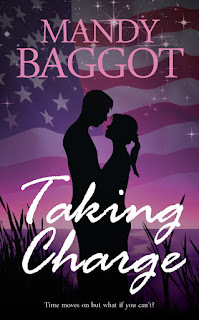 Mandy Baggot has just been announced by Romantic Fiction Online as one of the rising stars of 2012. Mandy has just launched her fifth novel Taking Charge and I'm delighted to be hosting her as as part of her month long blog tour. Mandy is also one of the featured authors at loveahappyending.com and will be taking part at the Summer Audience Event in Tetbury Glos on the 16th June. Mandy has been previously self-published but signed with exciting Sapphire Star Publishing in January this year. Go Mandy! 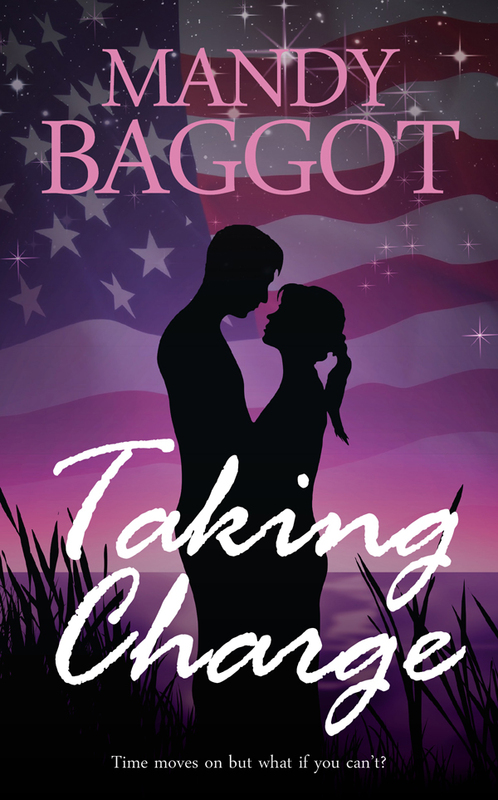 Hi Janice, thank you for taking part in the Taking Charge blog tour and for having me on your wonderful website! Now, as Janice has written a novel about a celebrity chef and because food plays quite an important role in Taking Charge I am going to be talking about all things eating! My lead female Robyn Matthers is slightly obsessed with food and none of it is healthy. Her idea of food Heaven is opening up a large bag of kettle chips and devouring the whole lot with a dip to accompany it. She also has a love of gherkins (pickles), barbecue and ice cream. So now, DRUM ROLL PLEASE, I am going to reveal to you my top five favourite foods in DESERT ISLAND FOODS! You know what I’m talking about. Nice breast of chicken, broccoli, carrots, swede (rutabaga LOL), peas, stuffing and a plate overflowing with thick gravy! Yum! Not just for holidays! Lettuce, tomato, onion, olives and feta cheese, drizzled in olive oil. A nice chicken Bombay on a bed of mushroom rice with a tarka dal and a garlic naan. It may not be that healthy but it’s LOVELY. Now most of you know that I ADORE food from my home village Chinese takeaway Pearl River. I cannot get enough of their sweet and sour chicken balls! We try and limit these to once a month but it would be a must for me to survive on a desert island. Yes! I had to have it as my number one desert island food. I could not survive without packet mashed potato. It’s quick to make, all you need is hot water and a fork and there’s a low fat hearty meal. I do really take a packet with me whenever I go away anywhere! So there are my five desert island foods! Now we want to hear what you would take with you to that desert island. What food could you not live without? Leave a comment! Chocolate and cold beer and salty crisps! I was with you all the way until we got to the packet mash, think I'd have to swap that for something sweet, anything sweet, I'm not fussy. congratulations to Mandy the rising star--whooot! Love this blogtour, can't wait to get reading... and my desert island foods? Where to start!! Then I'd be well made up (and quite fat, but nobody would see so who cares?) GREAT post! Love this topic! Now that I'm on a very low carb diet, a girl can dream, can't she? Pizza: double cheese and pepperoni please. Must also have the buffalo chicken spring rolls from my favorite neighborhood haunt. Cannot live without those for very long. And maybe some mild chicken tikka and palak paneer for a splash of Indian. God I'm starving and it's only 7am in New York! Love this, Mandy! Ice cream, any flavour except mint! Mmm hungry now. Need to find lunch. Congratulations, Mandy. I look forward to reading your books. Congratulations, Lady Baggot! Looking forward to reading Taking Charge. When it comes to favourite foods, Greek salad and/or Greek pizza, souvlaki, Indian (just not too hot), Chinese, seafood, and a wee taste of haggis every now and then. Greek salad (with you there, Mandy) for healthy days. Only one left?! Eeek! OK, chocolate, obviously. I'd go with Janice there, though, and take lots of to-be-sucked-slowly Lindt! Love it! It's not made me hungry at all - just consumed first on list. Slurrrrp! Way to Mandy! My food would be macaroni and cheese and of course, Nutella and organic waffles. Yum! Mmmmmmm - loving the foodie lists! 5) Haggis - served with mashed neeps and tatties. 4) Avacado - anyway it comes but preferably sliced on a salad. 3) Stilton Cheese - the more mature the better and with Scottish oatcakes. 2) Olives - the black ones are best. 1) My very favorite food on this earth - Scottish Smoked Salmon! All washed down with bottle of full-bodied red wine. And the island I'm on has a vineyard, right..? Congrats Mandy! Food-wise roast dinner and chinese YES, Janice's Stilton and olives YES. Love pasta too... all the fattening things I notice. Oh well, fun read ladies.